More than 200 lorry drivers a day are still squeezing their way along a narrow road in an East Staffordshire village, despite new traffic orders coming in, campaigners have claimed. MAY: Prince Michael of Kent and Jean-Christophe Gallagher of Bombardier Business Aircraft, unveil the plaque to celebrate the inauguration of the London-Biggin Hill Service Centre. Actually, many of this year’s bonfire and fireworks events take place on Saturday, November 4, which should be a spectacular night. Here are some of the best displays taking place near you. A Stapenhill shop has been targeted in a ram raid attack this morning on Monday, October 2. Thieves used a digger-type machine to steal the cashpoint from outside the Spar shop in Rosliston Road at around 3am police have said. Businesses including coach operators and HGV fleet managers are preparing for the introduction of an Emissions Surcharge, known as the ‘T-charge,’ in central London, which aims to discourage the use of older, more polluting vehicles. 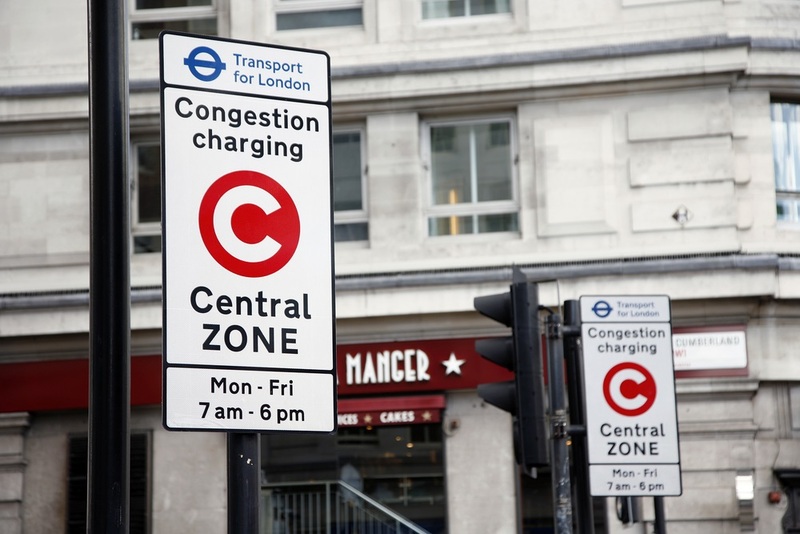 The charge, which is an additional £10 charge on top of what drivers will already pay to enter the Congestion Charge Zone, comes into effect from 23 October, and applies to petrol and diesel vehicles which fall below the Euro 4 emission standard. Euro 4 stipulates that vehicles must emit no more than 0.08g/km of NOx for petrol vehicles or 0.25g/km for diesel to achieve the standard. This will essentially mean that cars, vans, minibuses, buses, coaches and HGVs built prior to 2005 will be subject to a charge of more than £20 per day to enter the centre of London. Transport for London has estimated that as many as 8,850 vehicles will be subject to the charge every day. Some exemptions exist, with motorcycles, mopeds and scooters currently exempt from the Congestion Charge also exempt from the T-Charge, while residents registered for the Congestion Charge Residents’ Discount will automatically be registered for a 90% discount on the T-Charge. Vehicle owners can use a specially created online vehicle compliance checker, on the TfL website to establish whether their vehicle is affected by the T-Charge and get advice on what action, if any, they need to take. The Emissions Surcharge is one of a host of measures introduced by the Mayor of London, Sadiq Khan, in a bid to improve air quality in the capital, and comes ahead of the introduction of an Ultra-Low Emission Zone (ULEZ) which will eventually be in effect across Greater London. Commenting on the proposals earlier this year, the Mayor said: “Londoners overwhelmingly support my plans to introduce this £10 charge because they feel when it comes to battling pollution the time for action is now. The ULEZ will further toughen emissions standards in the capital, with petrol cars, vans and minibuses required to meet the Euro 4 standard, whilst diesel vehicles will be required to meet the latest Euro 6 standard in order to avoid a charge of £12.50 per day. HGVs and buses or coaches falling below the Euro 6 standard will be subject to a £100 per day ULEZ charge. The ULEZ will first come into effect in central London from April 2019, having been brought forward 18 months by Sadiq Khan, before its expected roll out across Greater London for heavy diesel vehicles, including buses, coaches and lorries in 2020, and up to the North and South Circular roads for cars and vans in 2021. Despite having been welcomed by air quality campaigners – some of whom feel that the measure should be brought in quicker – the introduction of the ULEZ in 2019 has been met with concern from fleet operators. Responding to a consultation on the proposed timing of the ULEZ earlier this year, the Road Haulage Association said that the measure would effectively ‘scrap many modern and expensive vehicles well before their time’. The organisation has argued that bringing the ULEZ forward does not give sufficient time for vehicle operators to effectively manage the change to newer Euro 6 vehicles.